Please check out our extensive selection of signs and promotional products. The selection is so extensive that we have an entirely separate on-line catalog. View our full line of business promotional items. Instant Sign Factory manufactures all types of digital graphic signs, custom banners, graphics and promotional point of purchase products. From magnetic business cards, door hangers, rubber stamps, Post-it Notes, vehicle graphics & magnetic signs to office window decals, banners, directional signs, warning signs and hard hat decals – Instant Sign Factory can manufacture to suit your signage and graphic needs. Not sure of your layout? Product branding, identification, business signs or business promotion – we can help you. We produce small and large runs, no minimums on many products! In addition, our quick turnaround helps you to meet important deadlines. We unlimited ideas and products with your brand-post-it notes to tool belts and aprons. 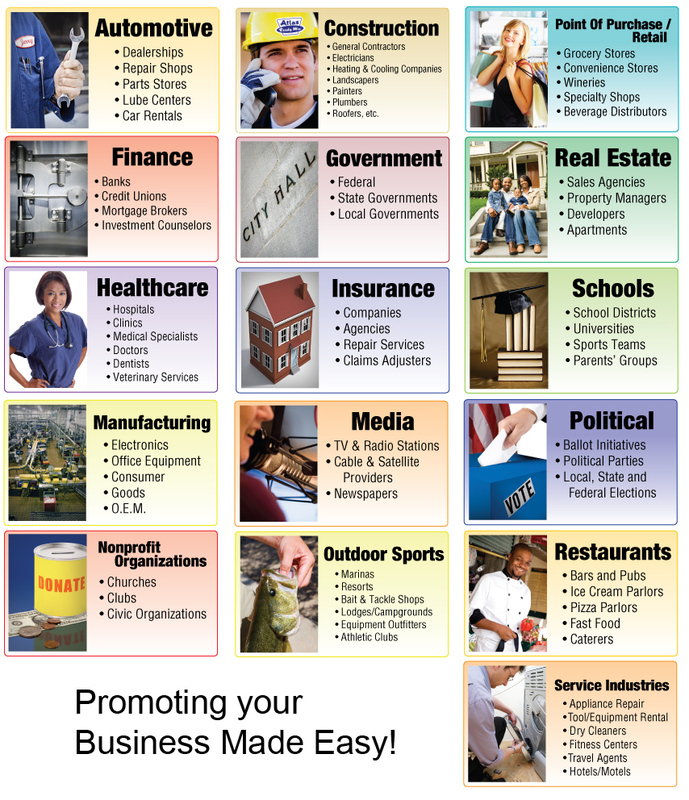 View our full line of business promotional items.